Whitecrow Village has a YouTube Channel! 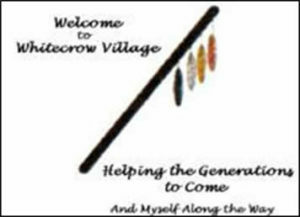 Check out “Welcome to Whitecrow Village” and other video and film projects produced by Whitecrow’s Walking Feet Video Productions. Subscribe and stay tuned. There are more videos to come! Commissioned by the British Columbia Ministry of Children and Family Development, the Whitecrow Village Film Crew filmed and produced an update to an earlier MCFD film on adoption and FASD. The original video, “Redefining Success,” was filmed in 1999 – 2000, and features our own Kee Warner, Daniel Warner, and Kirk Lutke. The updated sequel, “Success is a Spectrum,” showcases the stories of adults and adolescents with FASD who have been adopted and their adoptive families. The new video features various members from the Whitecrow Village community and was released in the summer of 2008. An informative film short which introduces viewers to the success-engendering philosophy and vision of Whitecrow Village FASD Society. Showcasing Whitecrow Village team leaders, volunteers, professionals, and parents, this film offers a sampler of our core Live-In FASD Education (L.I.F.E.) 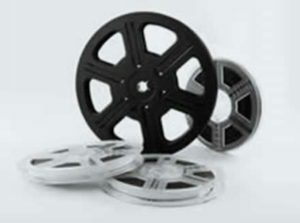 Sessions, trainings, and volunteer programs for professionals and community members. Filmed & produced entirely by adults with FASD, the video offers a glimpse into a community in which all members are supported in their success, and encourages youth, families and professionals to seek out opportunities to join in this community. Short documentary showcasing adults with Fetal Alcohol Spectrum Disorder at work. The film explores some of the challenges faced by employers and employees and presents interventions and supports that have proven successful in various employment settings. The Whitecrow Village team and Healthy Aboriginal Network have produced Drawing Hope a collection of five stories, based on stories told by members of the Whitecrow Village community. The stories are about struggling in school, the importance of friendships and receiving support from friends and family. In the cutting room. 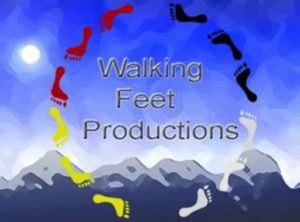 . .
Whitecrow Village Walking Feet Productions is working to film and produce an educational video for classroom teachers and other educators who have a professional interest in FASD. The video will explore the disability from the perspective of students with FASD and will challenge educators to examine and re-examine their classroom practices – leading them to discover valuable principles by which effective teaching strategies for individual students with FASD can be designed. Content will include basic information about FASD and the brain, and will provide a clear demonstration of the positive outcomes that are possible for teacher, student and classmates. This video is being produced in response to the many requests we receive for an introduction to the Whitecrow Village model of success, hope, understanding and capacity.